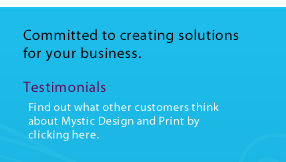 Mystic Design and Print offers creative marketing solutions for a broad range of printed and web marketing materials. We will plan, develop, and deliver any size project from business cards, brochures, and books to comprehensive business branding packages, including Informational and eCommerce web sites. Our pricing is per hour, but project pricing is available. Please provide as many details about your project as possible, so our pricing is accurate according to your business needs. 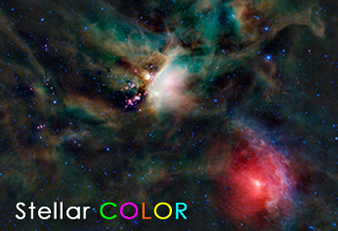 *The current discount of $25/hr is for First Time Clients and will be honored for graphic design and logo design only. We offer Graphic Design, Logo Design & Illustration, Blog Management, Social Media Management, Video Editing and Production, Custom Jingle Production, and Web Design for the following platforms: HTML, Flash, Joomla, and Wordpress. 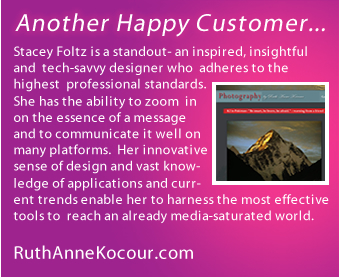 Find out what other customers think in the Testimonials section. Our experience in graphic design, web design, marketing, and printing gives you the cutting edge for whatever business you may be in. We pride ourselves in taking care of our customers business creative across all platforms. all competitors, providing a quality piece every time. 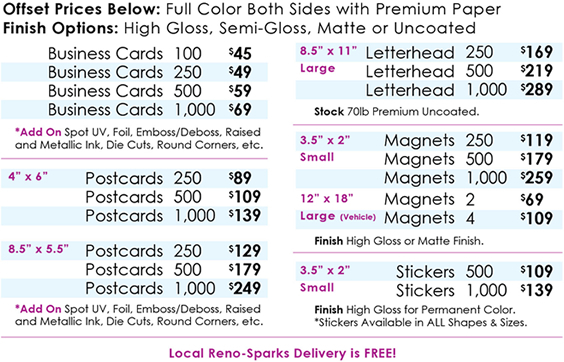 Business Cards • Postcards • Wedding Invitations • Stickers • Banners/Signage • Vehicle Magnets Custom Web Sites • Checks • Forms • Brochures • Canvas Rack Cards • Letterhead Books • Newsletters • Menus • Notepads • Envelopes • Apparel Printing • Embroidery • Mailings • Specialty and Promotional Items • Jingles & Much More. Click to see more.